We asked our guides for delicious autumn foods recommendations! Discover great advice from our passionate guides and local experts in this new series “Ask Our Guides”! What is your favorite Autumn food and why? This month we asked our beloved, adventurous guides Jennifer, Haruka and Ryuichi what are their favorite Autumn foods and why? My favorite autumn food is sanma or pacific saury. The Japanese name of the fish literally means “autumn sword fish”, which comes from the fact that they are most fatty and delicious around September and October and from their shiny and sharp look. They are best grilled and sealed with salt. 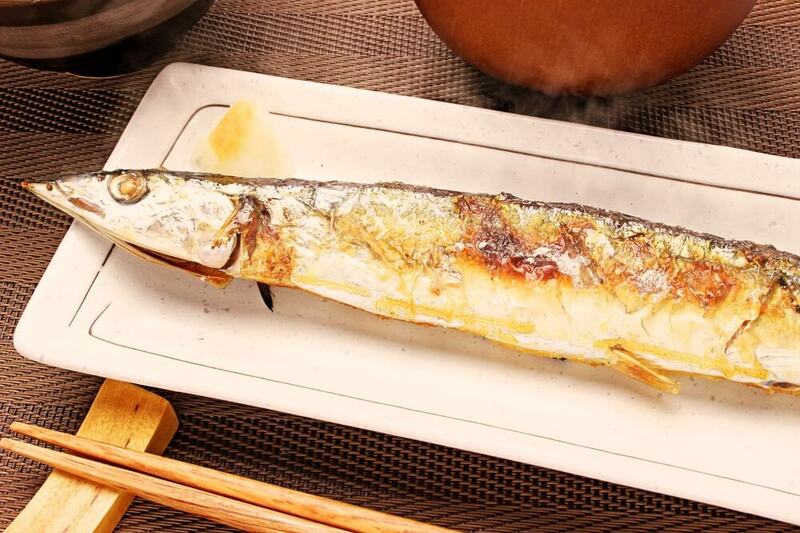 A typical Japanese home kitchen has a drawer-style fish grill under the stoves, so I love to buy a whole thing of fresh sanma like the ones in the picture from a supermarket and grill it at home. You can eat the whole thing including the crisp skin, head and tail. It is also good topped with some graded white radish and lightly sprinkled with sudachi, Japanese citrus juice. It’s a truly Japanese flavor you can only enjoy in this time of the year, and I love it! One of my favorite types of dishes in Japanese cuisine is nabemono (hot pot), and in autumn especially here in Kyoto, my favorite type of nabemono to eat is mizuna-nabe. Mizuna is an example of kyo-yasai (Kyoto vegetables), oftentimes translated as potherb mustard. It is a leafy vegetable that is both crisp and quite juicy. 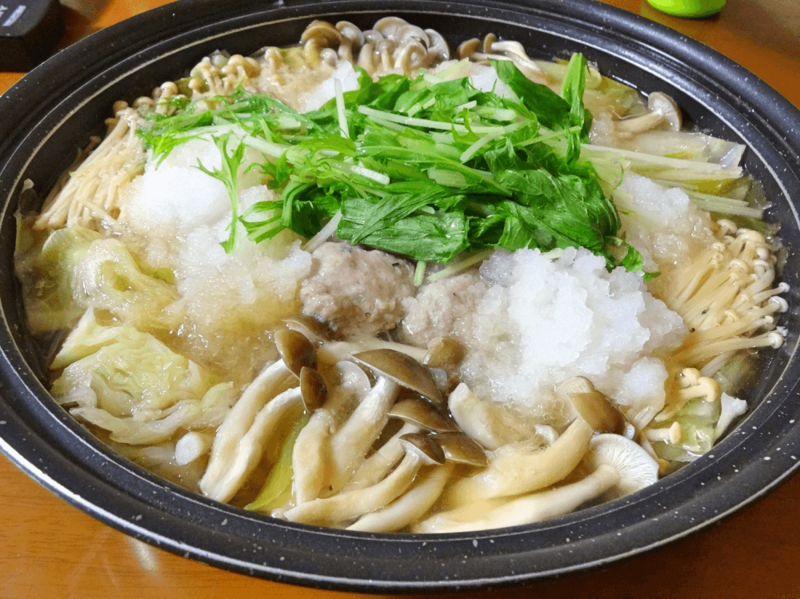 It has a slight bitterness and overall mild taste, which makes it perfect in nabe cooked with pork, tofu, and mushrooms. I especially recommend it with piles of grated daikon radish on top and dipping the nabe contents in ponzu sauce, but be careful to not overcook the mizuna! It is a very simple but healthy and filling dish perfect for the season as it gets cooler. In japan, there are so many kinds of Autumn Seasonal Food like Sanma, mushrooms and Japanese persimmon. Among all of those Autumn Seasonal Food I wanna introduce Mushroom Rice, a typical dish that I specially like. 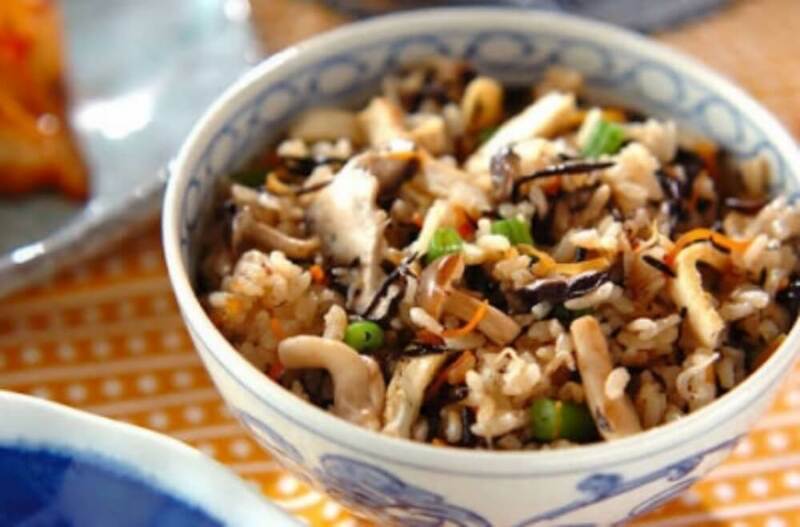 The ingredients of Mushroom Rice is rice, any mushroom, sake, and soy sauce. We make it by putting all together into rice cooker and making it boiled. It’s an easy to cook, tasty and healthy food. Mushroom rice is one of “mother’s food” because there are so many different styles and, depending of whose mom made it the taste can vary so much. If you haven’t eaten yet, please try to make it and eat it!